This post originated from my Land of Nod blog series. It is a prelude to Agra, India. 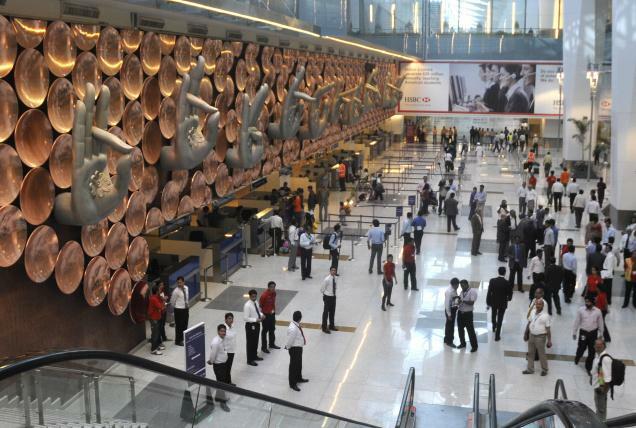 New Delhi has several flights from the U.S arriving throughout the day/evening. I live on the east coast and a flight to New Delhi takes about 21hrs with a layover in either Kuwait or Istanbul, Turkey. Side note: Istanbul would take care of the letter “I” so that is the route I would personally choose. If you are flying from the west coast, Istanbul and Abu Dhabi are your layover options. Before exiting the airport, be sure to stop at an ATM to withdraw money. The currency is Indian Rupee (INR/Rp). To give yourself an idea of exchange rates: 1000 INR is $15USD. Metro – this is by far the quickest and cheapest option to get into the city. At just $2.50 you can be in the downtown within 25 minutes. Taxi – apparently cabs are a notorious way to get ripped off in New Dehli – even the prepaid kind. I stopped my research on this after a couple scary reviews so do yourself a favor and just take the metro! Hotel Transfer – many hotels offer free transport to/from the airport. Check before booking. Metro – The metro is actually the easiest ways to get around the city! You can buy a Metro card (50 Rupees deposit) and add some cash on it, rather than purchasing a new ticket each time. Alternatively there’s also 1 day (100 Rupees) and 3 day (250 Rupees) Metro tourist passes available. HOHO (Hop on Hop Off) Bus – I was surprised and excited that they have one in New Delhi! I looooove these types of buses. I always hop on at one stop and do a full loop before committing to a location and getting off to tour. It’s the best way to see the city in a short amount of time. 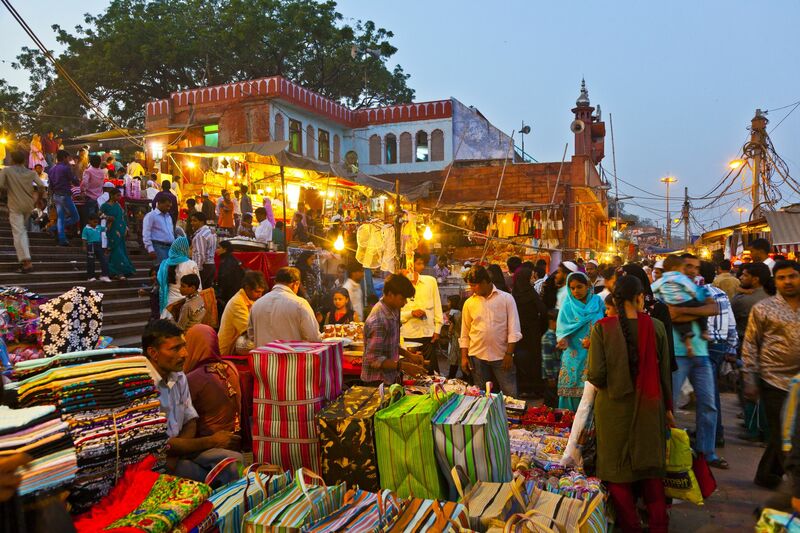 Bazaars – Some argue simply walking down the street in New Delhi is all you need to do and see. The city is strewn with various bazaars offering delicious foods and colorful shops. 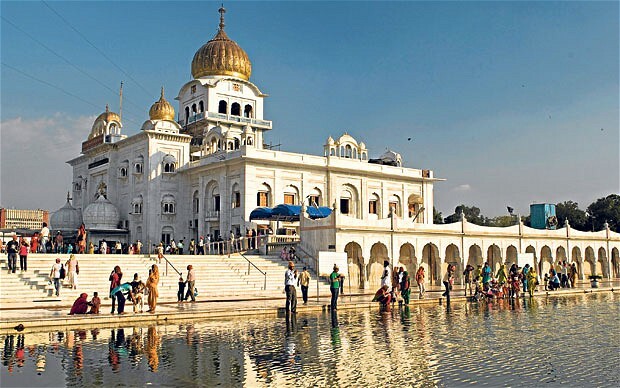 Gurudwara Bangla Sahib – considered a house of worship, this bungalow is home to the eighth Sikh guru Sri Harkishan. Thousands of people a day come here as a pilgrimage. It is deemed as one of the most peaceful places in all of New Dehli. On arrival you must check your shoes into a locker room and cover your head. Then you are free to roam around the complex…at no cost! How to get there: Take the Metro to Patel Chowk, from there walk along Ashok Road until you reach the back side of the temple. 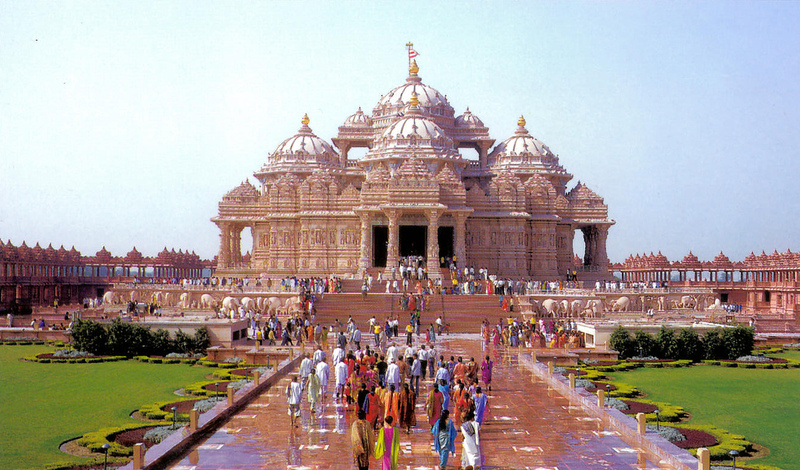 Swaminarayan Akshardham – aka “Divine Abode of God.” It serves as a Hindu Temple where visitors can roam the grounds for hours. After some research and reviews though, the lines are long and the guards/police tend to take peoples phones and you must go through heavy questioning so be prepared! 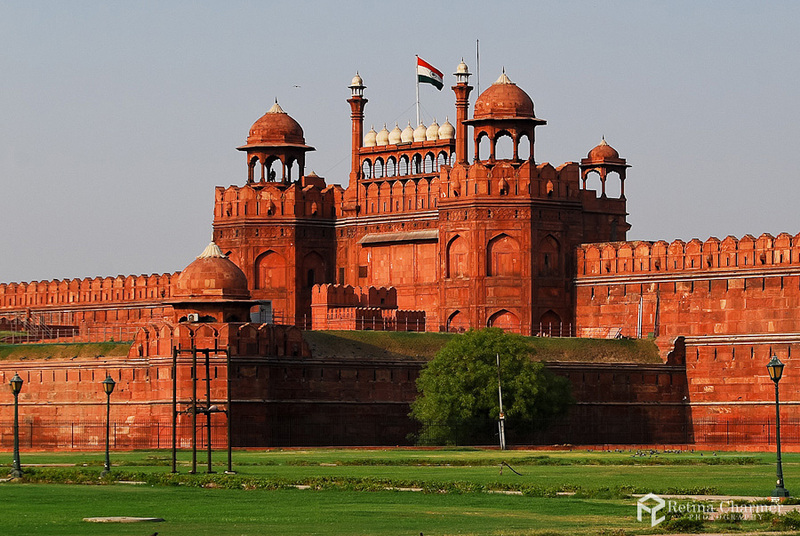 Red Fort – This magnificent fort on the banks of the river Yamuna, is a living piece of history from 17th Century Delhi. This fort was constructed by Shahjahan who also built the wonder of the world Taj Mahal as a symbol of his love. The whole structure is made of Red stone. It’s one of the largest monuments in New Delhi and once housed 3,000 people. 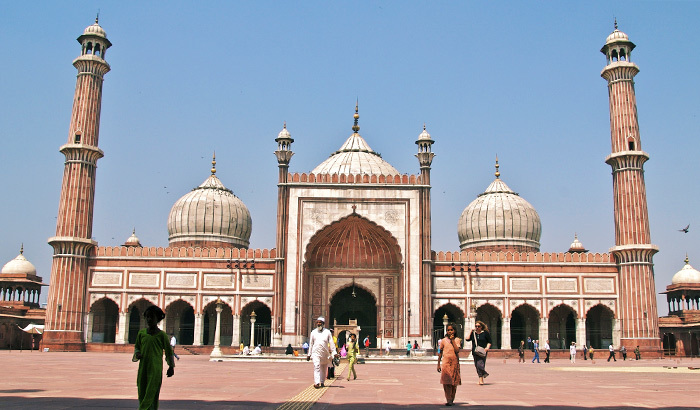 How to get there: You can easily walk in about 20 minutes or take a quick auto rickshaw ride from Chandni Chowk metro station to the Lahore Gate of the Red Fort. Just get off the Metro and walk straight down Chandni Chowk road until you reach the large main road, and you’ll see the fort across the street. 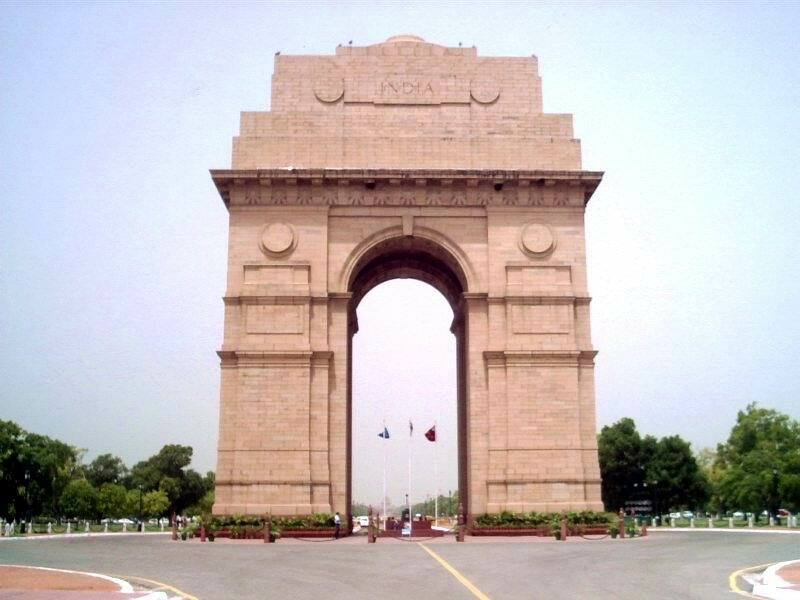 India Gate (Princess Park) -the was built in 1931 as a memorial to 90,000 Indian soldiers who laid their lives fighting in the First World War. The name of 90,000 men are inscribed on the uprights of the arch. 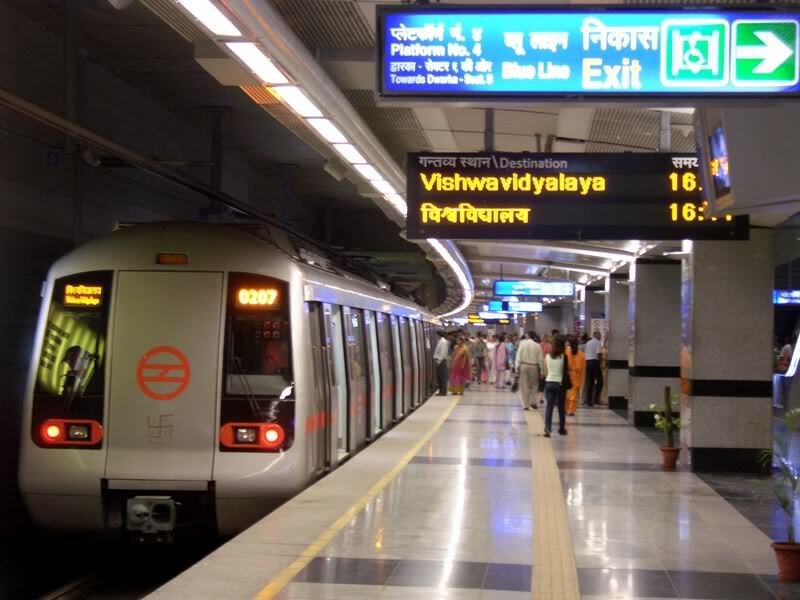 How to get there: The nearest Metro station is Central Secretariat. 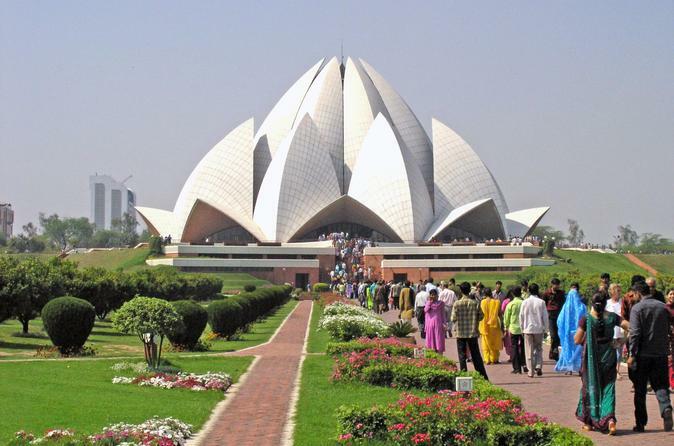 Lotus Temple – is one of the most remarkable architectures of Bahai faith. The structure is considered the modern ‘Taj Mahal’. It openen in December 1986, and the environment is ideal for meditation, peace and wisdom. The temple has no restrictions for visitors and is open to people from all religions. 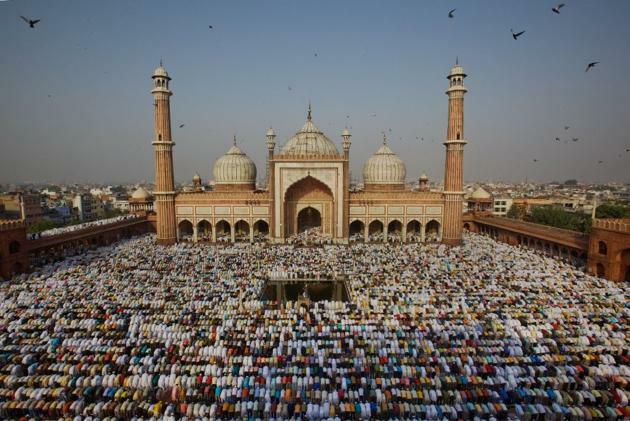 Jama Masjid – one of the largest mosques in ND. Be aware that admission is free, however they will charge you 300 Rp’s for any camera device you have. Also, you must walk through without shoes so be prepared for dirty feet or carry some thick socks! Tourists are not allowed on the premises during prayer hours out of respect. I must admit I was a little disappointed to learn that as I feel it would be very spiritual to be a part of something so authentic but I understand why those would not want to be interrupted. How to get there: I took the Metro to Chawri Chowk station, exited at Gate #3, and from there you just walk straight down the street for about 10 – 15 minutes and the road will lead you right to the mosque. You can then either take a left or right to get in either main gate of the mosque. 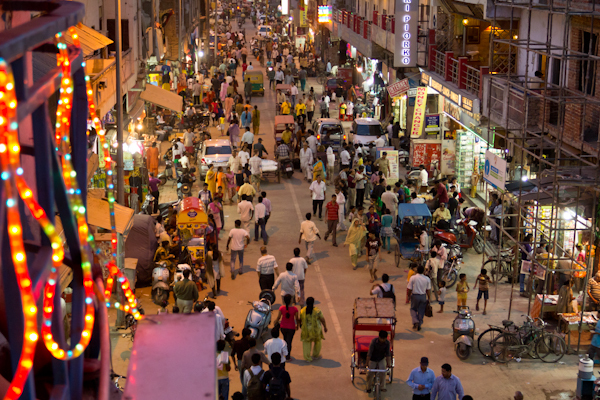 New Delhi is a big city with a population of over 12 million. Therefore it has crime issues that go along with being a city of such size. Petty theft does occur and travelers should practice caution. Avoid wearing expensive jewelry, carrying large amounts of cash, looking flashy, or causing a scene. Doing any of these is asking for trouble. Pickpockets thrive in crowded areas such as markets as well as bus and train stations. Women should keep purses or bags close to their sides and men should store wallets in front instead of rear pockets. Avoid traveling alone at night. This is a general recommendation for any unfamiliar area, but should be followed in New Delhi as well. Demonstrations, protests and mass gatherings occur in major public areas. Avoid these situations as they can be dangerous. Food poisoning is common for travelers to India. Some recommend avoiding eating meat altogether. These and many other issues are discussed at India Food Safety . It is always safer to drink bottled water than that running from a tap. For a complete list of foreign embassies in India, visit Embassy List . When traveling abroad it’s best to familiarize yourself with the culture to avoid offense. Water – the water is not safe to drink. Use bottle water for drinking and brushing your teeth. Do not open your mouth while showering. Food – be mindful of foods like lettuce, vegetables and fruit that can be rinsed with unfiltered water. Also, note that some westerns may have stomach troubles due to the change in cuisine. Take some some antacids and anti-diarrhea medicine. Also be aware of street food and meat as this could cause Delhi Belly. Language – Hindu is primarily spoken but many have a relatively good knowledge of English. Etiquette – The namaste greeting, which involves pressing your hands together and bowing down, is the most common greeting. Foreign women should not give eye contact to the local men (so whip out those sunglasses). Do not reply to the many “hellos” you will receive or respond to the many gestures to get your attention. This merely fuels the fire you are trying to extinguish. Dress – Foriegn women need to take particular precautions when traveling in New Delhi and India in general. Wear appropriate clothing to prevent unwanted attention from local men! No cleavage should be visible, legs should be covered to the knee, shoulders should be covered (this is required in Birla Mandir). Use a scarf to cover up you if your current wardrobe does not suit. Visas – Visitors from the US, Canada, Australia, UK and EU are required to have a valid passport and a tourist visa in order to enter India. Visas can be applied for from Indian embassies, branches of which can be found in all of the aforementioned countries. Usually tourist visas granted to Westerners last up to 6 months. Note that the date of the visa’s effectiveness starts when it is issued rather than upon entry to the country; so don’t organize a visa too far ahead of your trip. Weather – New Dehli has a reputation of being one of the hottest towns in India. In summers the city witnesses a sudden surge in temperature and at times, mercury goes beyond the 115°F mark in addition to a very high level of humidity. During summer, the daytime temperature hovers around 115-122°F. Nights are relatively cooler and temperature lowers to a comfortable 86°F. Winters are bit chilly but are the best time to visit New Dehli.